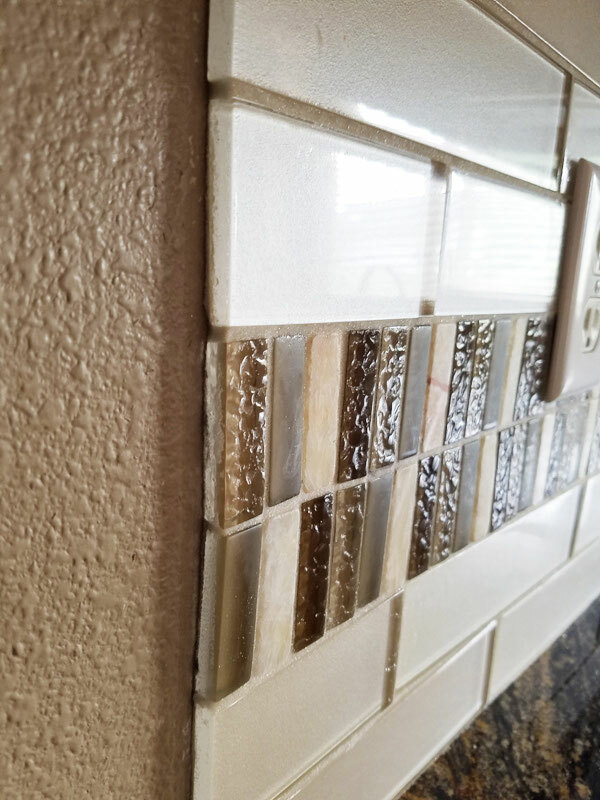 How do I finish my tile project? 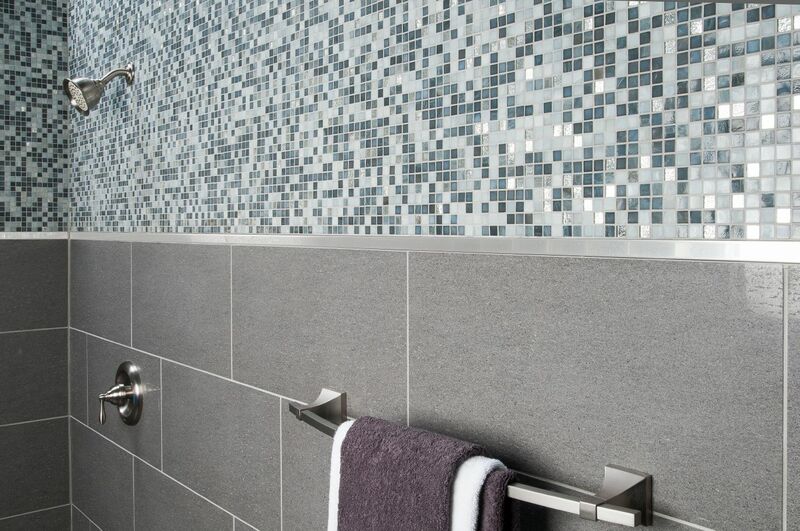 We don't recommend leaving your tile edges bare. 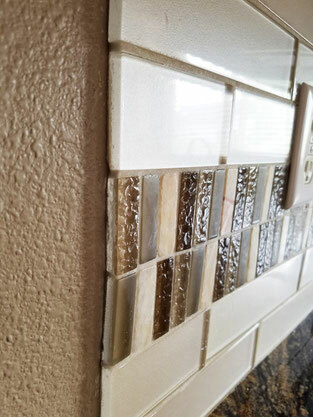 The unfinished tile edge is prone to chipping and cracks, and oftentimes just doesn't look very good. 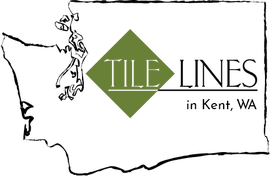 Fortunately, there are a number of ways to finish your tile for a polished, professional look. 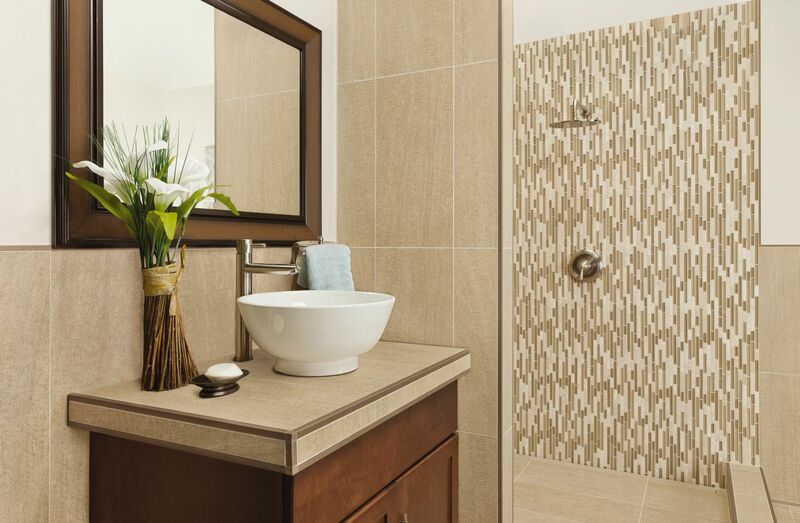 Say you're installing a 12x24" porcelain tile in your shower. 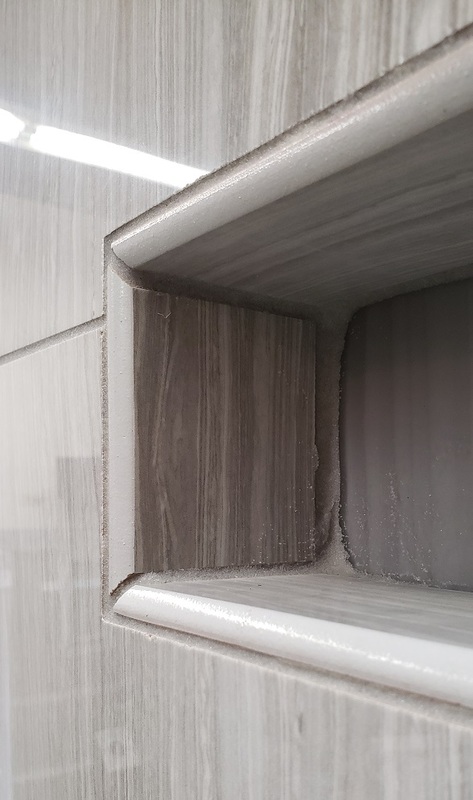 How will you finish your edges and outside corners, such as where your tile ends on the wall and the corners of your curb, shower bench, or recessed shelves? 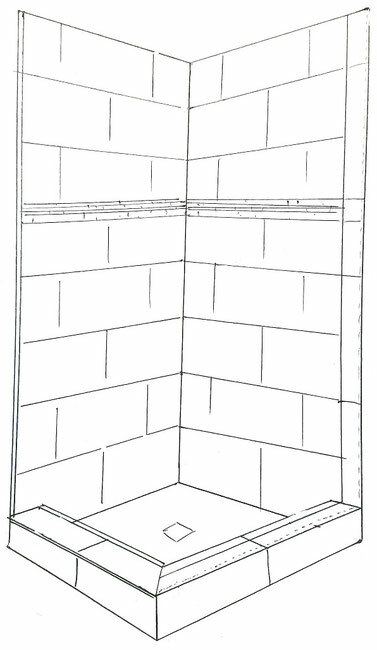 A bullnose tile (shown on the right side of our drawing) will match your tile, but it also creates a 3" stripe down the edge of your shower, disrupting your pattern. 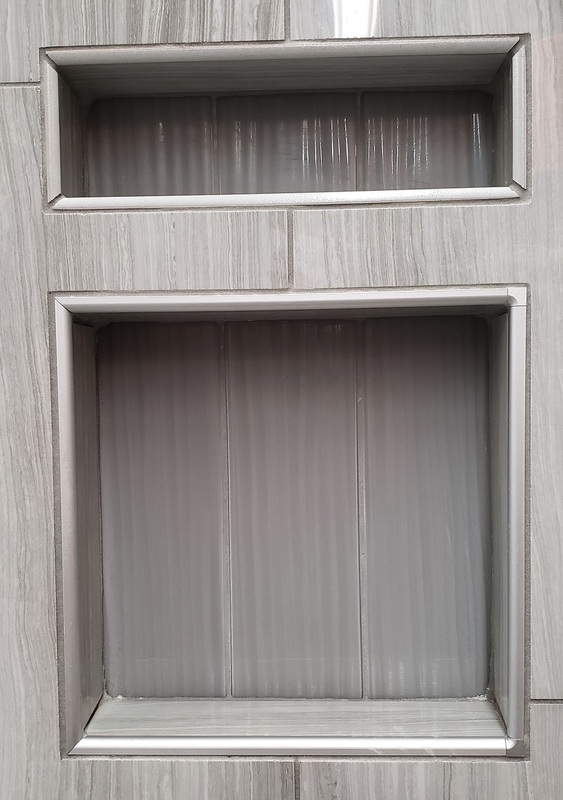 A Schluter profile piece (shown on the left side of our drawing) will be thinner for a cleaner look, but you're introducing another material (metal, colored PVC, or powder coated) to the design. 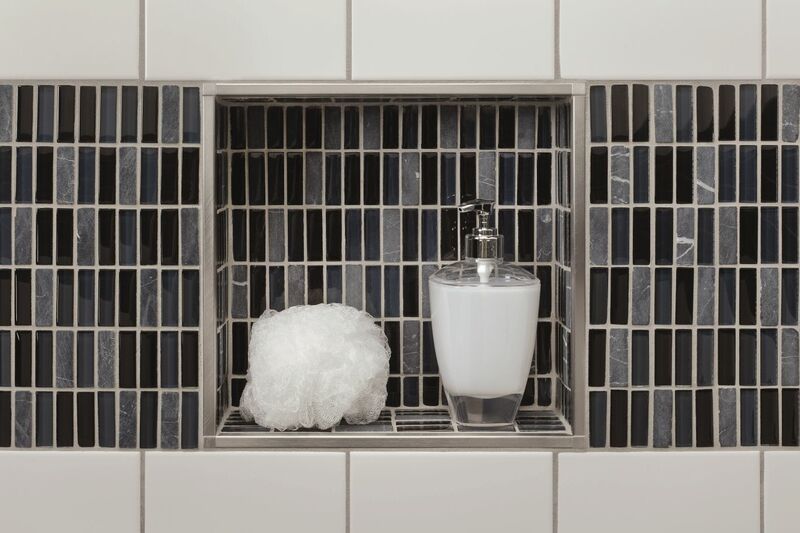 Many tile lines offer a bullnose tile option. 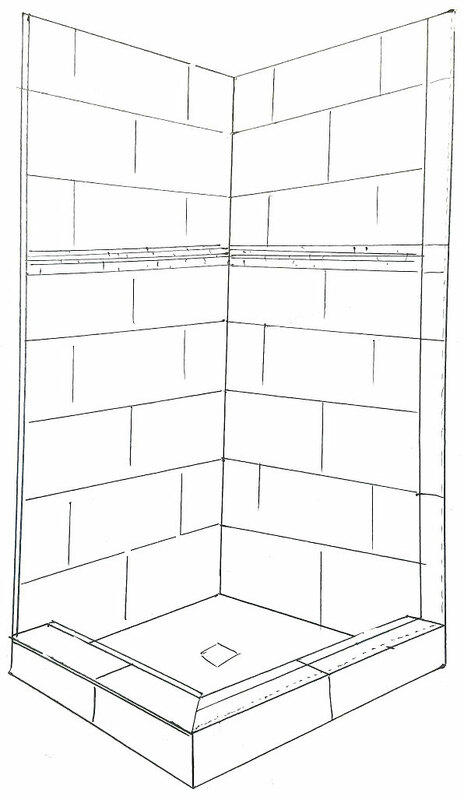 A bullnose is a piece of the field tile with one or two rounded edges. 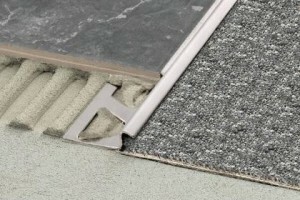 A square field tile edge can be easily chipped or damaged, whereas a softer bullnose edge can deflect impacts. 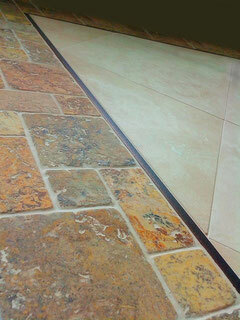 A field tile edge looks unfinished, while a bullnose is usually glazed to match the face of the tile. 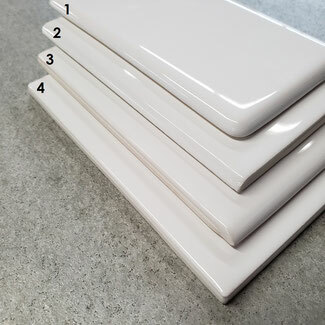 Most bullnose for porcelain and ceramic floor and field tiles are 3-4" tall by the width of one of the tile sizes (usually 12", 13", or 24"). 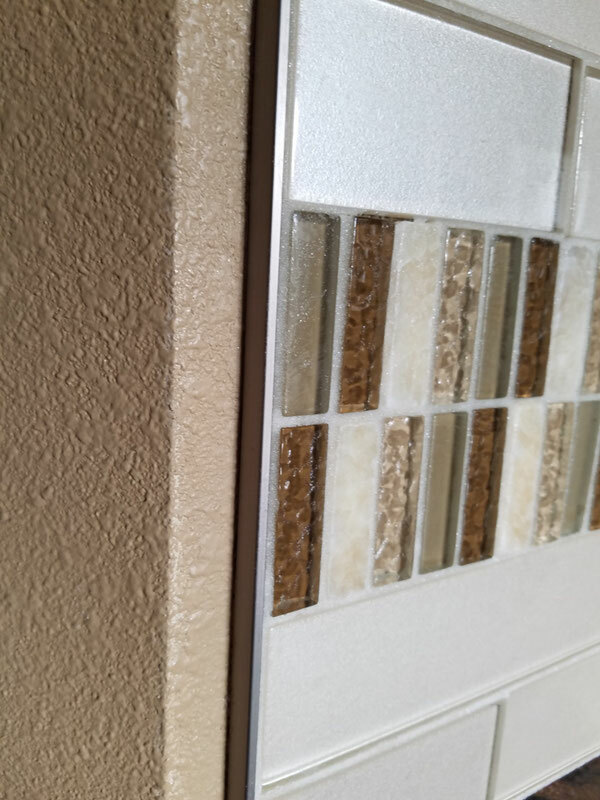 Glazed wall ceramic tiles usually offer a bullnose in the same size as one or more field tiles (3x6" field with a 3x6" bullnose, 4x12" field with a 4x12" bullnose, etc). 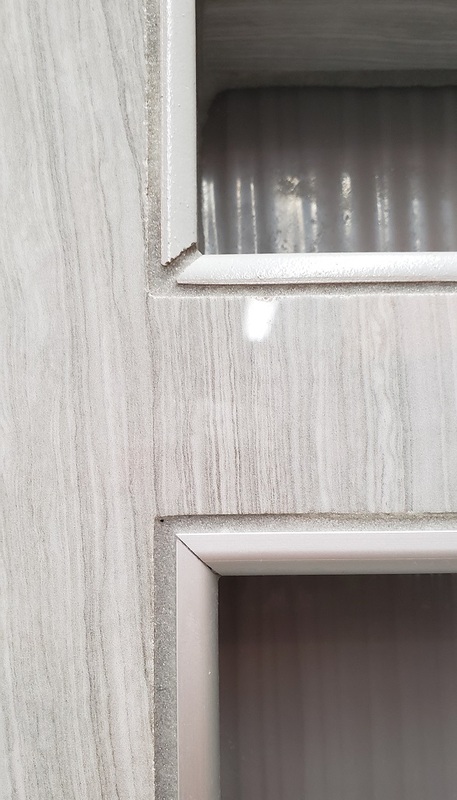 Many wall ceramic tiles offer a corner bullnose, while most porcelain tiles do not, only offering a bullnose along one edge (for example, a 3x24" bullnose with a rounded 24" side). 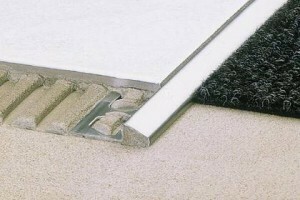 Bullnose can also be used to finish shelves, curbs, stair edges, and as baseboards that match your tile floor. 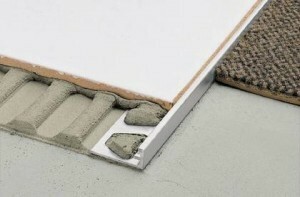 A bullnose baseboard is a good, durable alternative to a wood or MDF baseboard in a wet space such as a bathroom. 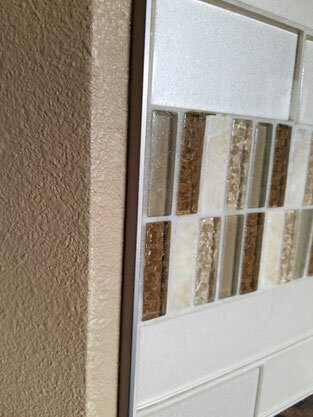 Not every tile line comes with bullnose, and sometimes the bullnose tiles are produced at a different time than the field tile and they don't perfectly match. 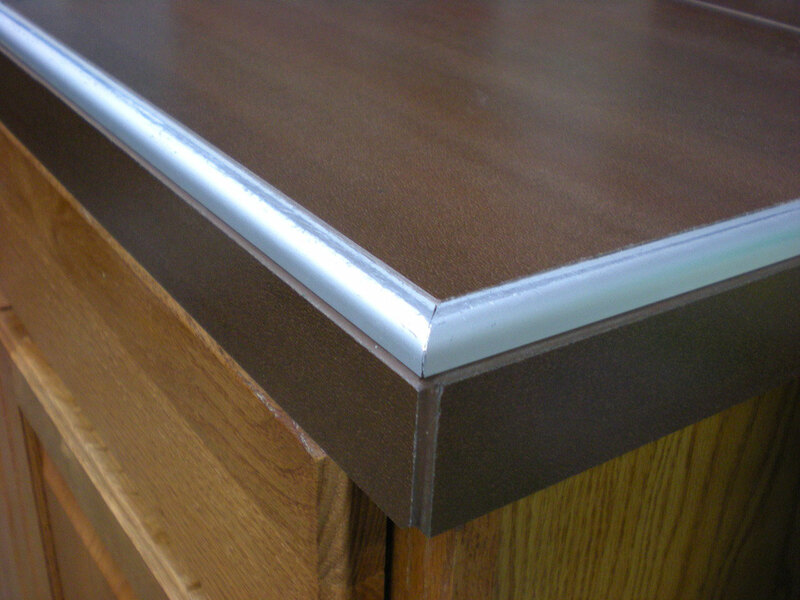 These German-made metal or PVC strips are used as transition strips, expansion joints, decorative borders, and for finishing edges. 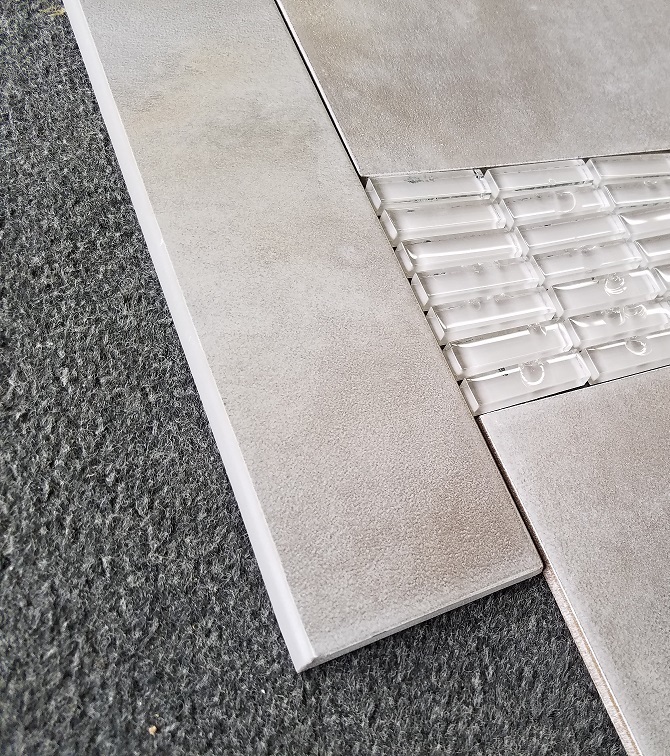 With a variety of shapes, different heights for different sized tiles, and finishes ranging from brushed nickel to antique bronze to black, white, grey, or beige, there's a Schluter profile for every installation! 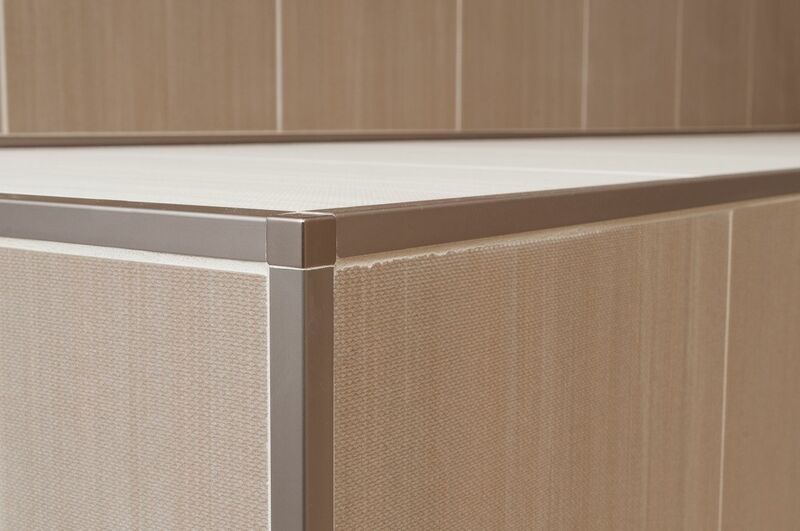 Several Schluter edge profiles serve as a clean, definitive transition between tile and other floors. 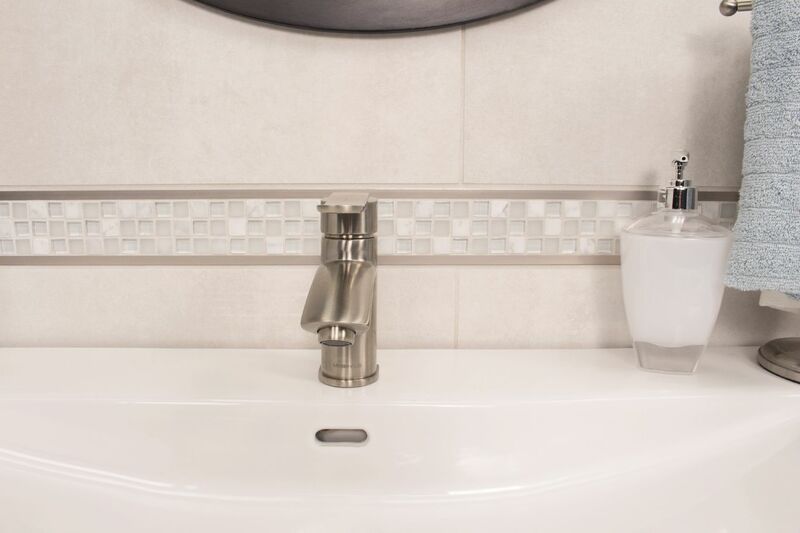 They're available in many different colors, including brushed nickel, antique bronze, brass, and stainless steel. When the edge of tile is left exposed next to carpet, or if it is taller than the adjacent flooring, it's easy to kick and chip the tile. 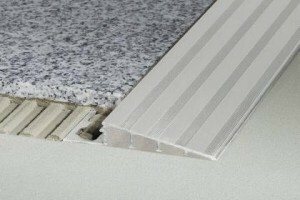 Metal edging protects the your tile from this damage. 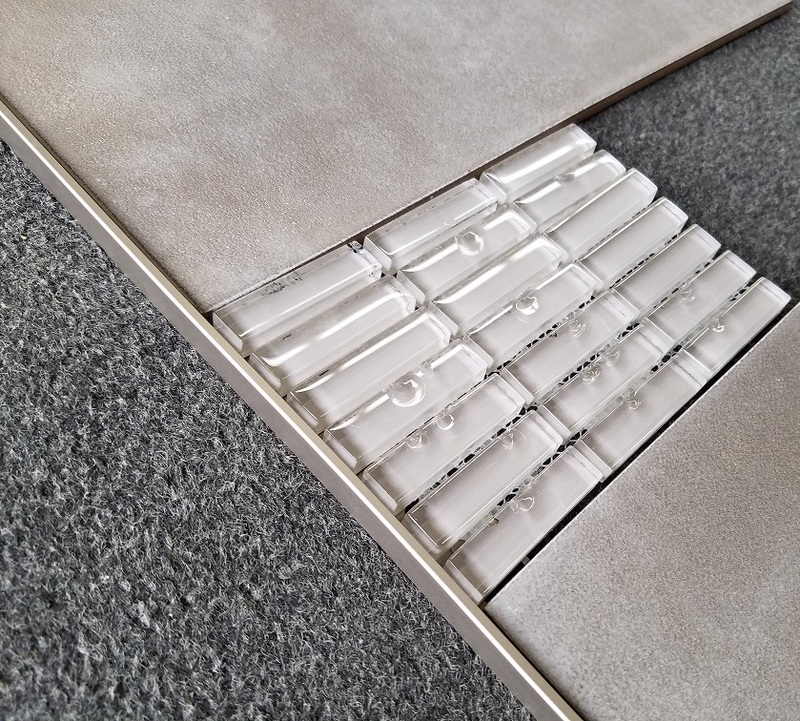 There are several Schluter designs that are meant to provide a transition between a tile floor and a floor of a different height. You can also use Schluter for aesthetic purposes, creating a line between two spaces that sits flush with the floor's surface. 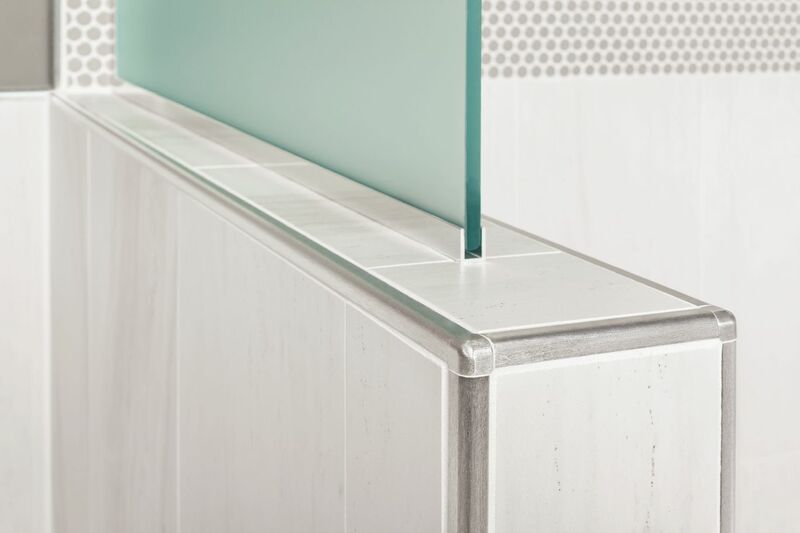 Schluter edge profiles are ideal for tile and stone lines that don't have a bullnose option, or if you want a thinner, sleeker edge detail. 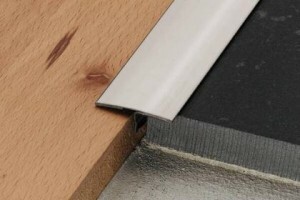 For showers, the 8-foot sticks of edge trim allow you to have a clean, continuous floor-to-ceiling line that caps the unfinished edge of your tile and completes your installation. They are also a great way to finish the edges of backsplashes for a more polished look. Click through the Houzz ideabook below using the arrows at the bottom right. This Tuscan Bronze Schluter Quadec creates a strong transition between the light travertine tile and colorful travertine border. 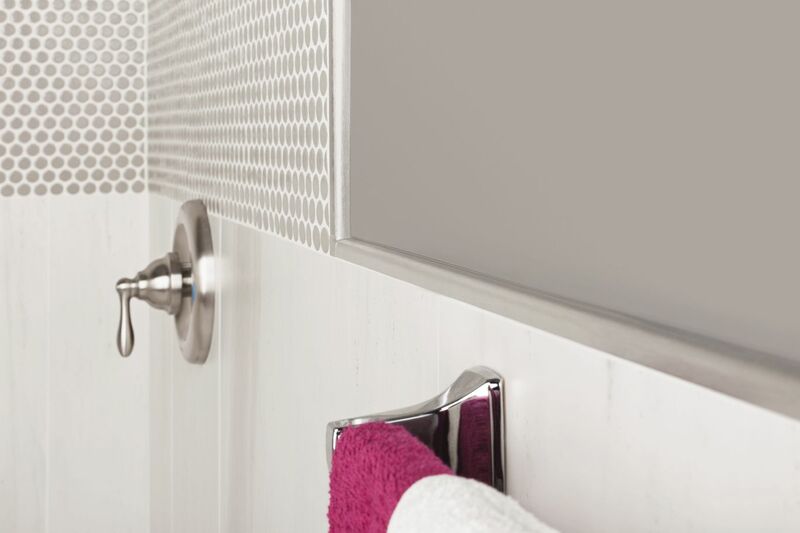 Why not have a trim piece that is both functional and stylish? 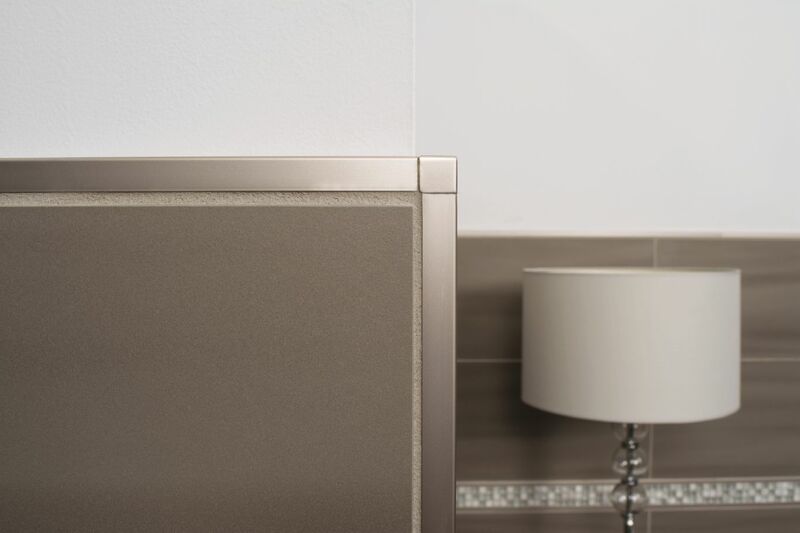 With Schluter's wide range of finishes and profile shapes, you can incorporate the profiles into your design for strong lines or subtle accents. 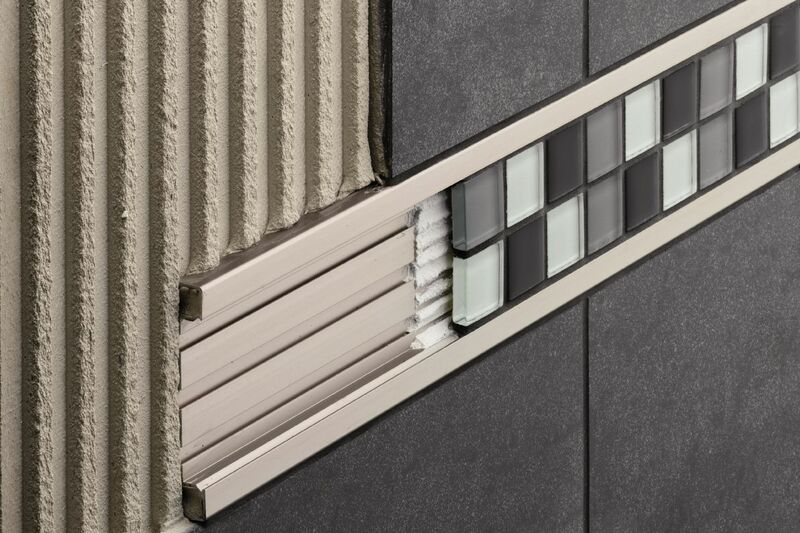 Schluter's profiles are usually less expensive per linear foot than other metallic pencil liners or stone borders; and since they come in eight-foot lengths, you have far fewer grout joints to worry about.